Standigm, a company using artificial intelligence (AI) technology for drug discovery and development, announced it has raised $11.5 million in a Series B funding round led by Mirae Asset Venture Investment and Mirae Asset Capital. Standigm will use the funds to scale the AI technology platforms and advance its drug discovery pipelines toward license-out. The new round brings Standigm's total financing to $15 million. 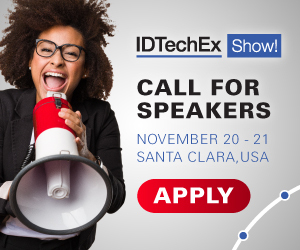 For more information see the IDTechEx report on Digital health 2019. "We have been very impressed with the progress Standigm has made over the past years in global drug discovery market," said Kijun Kim, Vice President in Kakao Ventures. "The feasibility of Standigm AI is already acknowledged among the leading pharmaceutical companies. We're pleased to continue our support. This will allow standigm to broaden its own pipelines." Launching three platforms, Standigm BEST®, Standigm Insight®, and Standigm Expander®, Standigm has provided lead optimization, novel target analysis, and new indication prediction services to pharmaceutical companies including four global leading pharmaceutical companies. Standigm has developed extensive preclinical pipelines in four different disease areas: NASH, Parkinson's disease, Autism, and Mitochondrial diseases. Jinhan Kim, CEO and Co-founder in Standigm, said, "We demonstrated in vitro and in vivo data of our repurposing drug candidates. This latest round from top investors and innovators in AI and biotechnology fields represents their confidence in our technology to innovate drug discovery process in the pharmaceutical industry. We will create partnerships with leading healthcare organizations to accelerate this mission and bolster our pipelines."